The highest quality knitting tool I have ever used and the only needles you will ever have to buy! 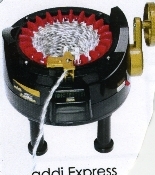 A complete Addi Turbo interchangeable set includes ten needle sizes #4-#15; 3 cables sizes 24", 32" and 40" plus 1 connector. 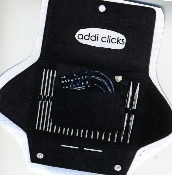 Addi Natura and Short... New CASE ONLY for Addi Click interchangeable needle set- Needles not included- ORDER NOW!